You can tell exactly what kind of student someone is by asking which library at the University of Florida is their library of choice. Students in any of the STEM programs pretty much live at the libraries, but the crowds really grow around exam time. Make sure to learn the ettiquette of each library on campus because you definitely don't want to piss off a UF student during exam weeks. 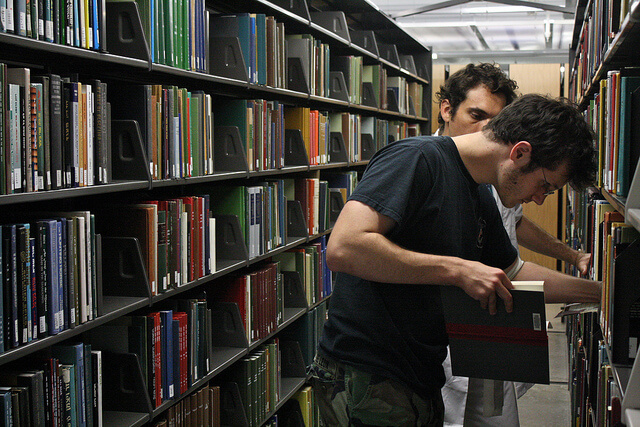 UF studying isn't just limited to the libraries, however. When the weather cools down, the masses appear and will scatter themselves across campus, mainly in the grassy areas in front of the Reitz Union and behind Weimer Hall. 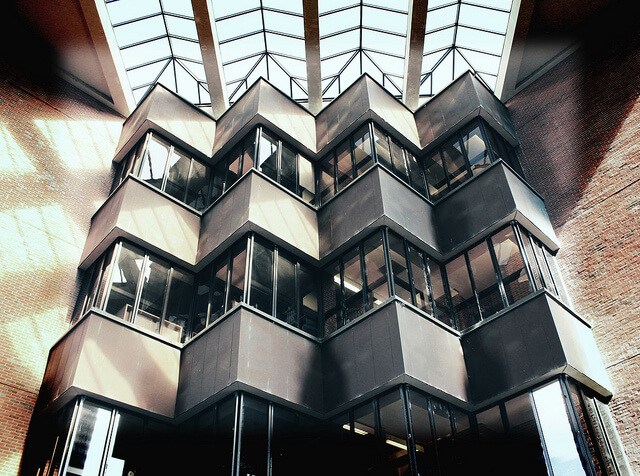 Better known as Club West, Library West is the largest library on campus. Home to an in-house Starbucks, this library is always the busiest – but that doesn’t mean it’s the best. It’s definitely the ideal place to be seen studying, not so much to actually get a substantial amount of work done, especially if you’re working on the second floor. As you go up, each floor gets a little bit quieter and a lot more serious, the only issue is that there’s no floor with a good balance in volume. If you do decide to brave Lib West, make sure to go online beforehand and reserve a study cubicle or study room for optimum concentration. So what happens when you really do need a library that’s not a social scene? Marston is the science library and it’s almost always calm and quiet. Some of the lower floors provide the perfect atmosphere because they’re quiet enough to focus, but not so quiet that you’d feel uncomfortable dropping a pin. The only downside lies in the fact that Marston is aging quickly, so it’s typically a battle to claim one of the few outlets. It might be cheesy, but you’d be surprised at how productive you could be at one of Gainesville’s small coffee shops. Most of them are open late, and almost everyone there has their headphones in – the ultimate do not disturb sign. Check out Titi’s, it’s usually empty since they deliver, and they have a whole collection of different foods to keep you entertained (or provide a reward). There’s a whole lounge area with wifi and great music, and it’s one of the only places you can get summer rolls, bubble tea, smoothies and gelato all at once. The Hub probably isn't the best idea if you have no willpower against the inviting smell of Chick-fil-a french fries. 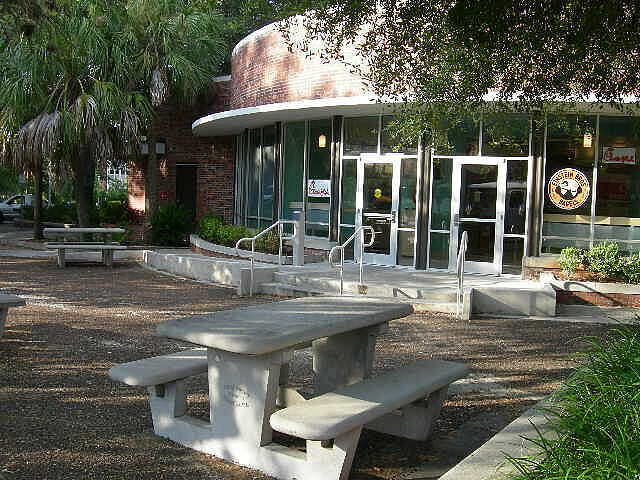 It's supposed to serve as the student center in the middle of campus, but it doubles as a great snack and study spot. Reward your hard work with a treat from The Hub such as Chick-fil-a, Starbucks or Einsteins. What's great about The Hub is that there's a ton of comfy seating with built in desks; you could pretty much lock yourself in there all day and never leave because it has everything you need. Keep in mind that The Hub is only ideal for the studiers who are not easily distracted. Easily UF's best kept study secret. The arc lab is right across from Broward Hall, which is pretty much in the center of campus, so it's accessible to all. There's three separate rooms in the arc lab, all equipped with huge and secluded Mac and PC desktops. You'll feel so productive and focused in your wheely chair typing away at your own desk with a swivel keyboard. It's quiet, but not so much so that you feel bad for breathing. The arc lab's main perk is it's printing and program capabilities, making your intellectual reach infinite.